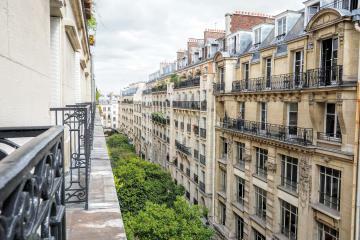 Rare in Paris. 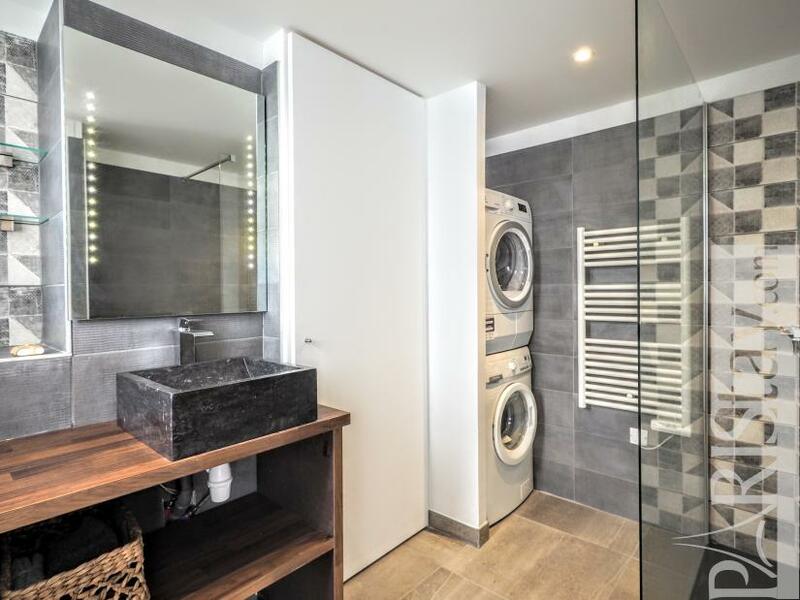 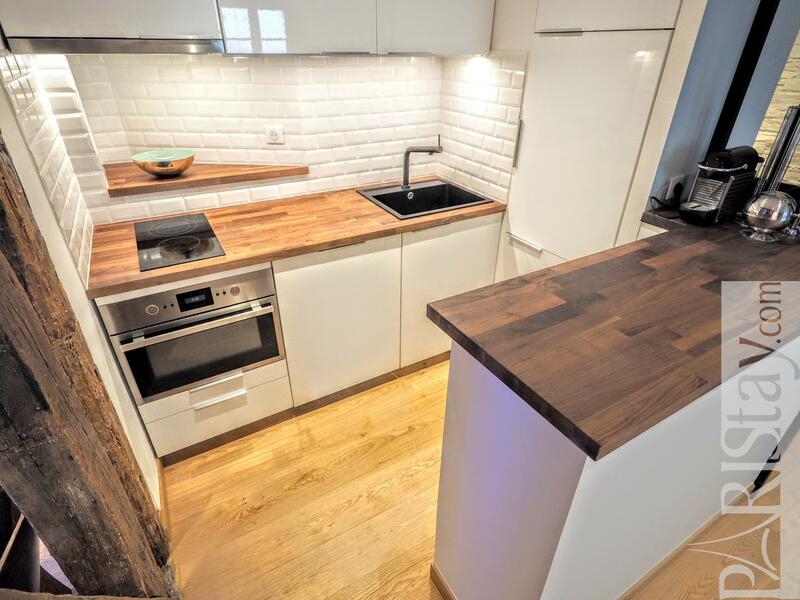 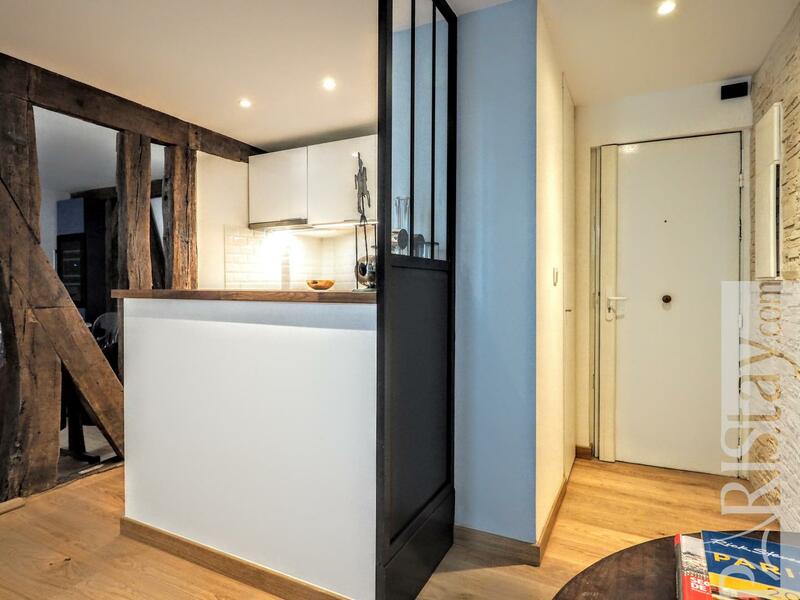 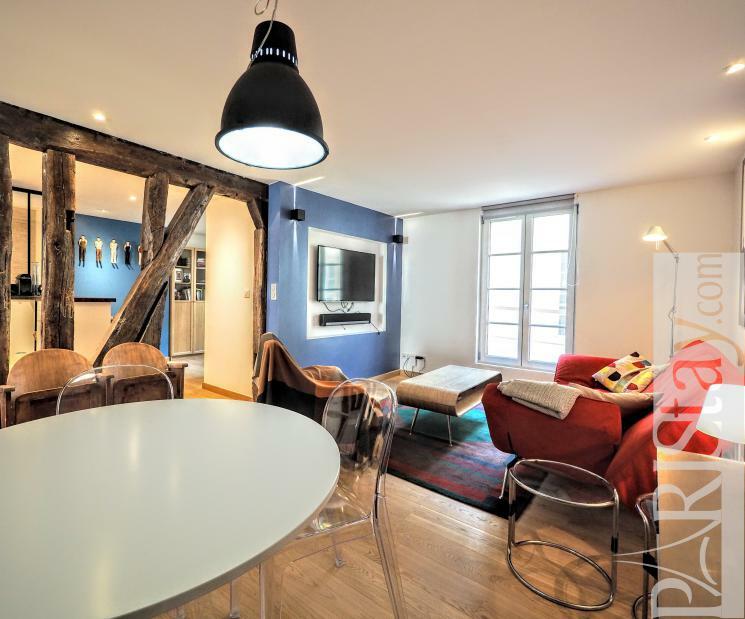 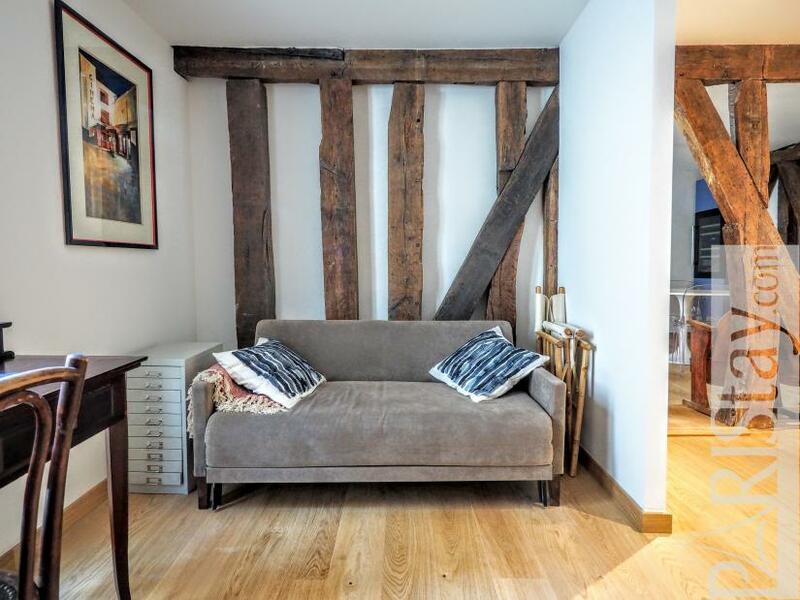 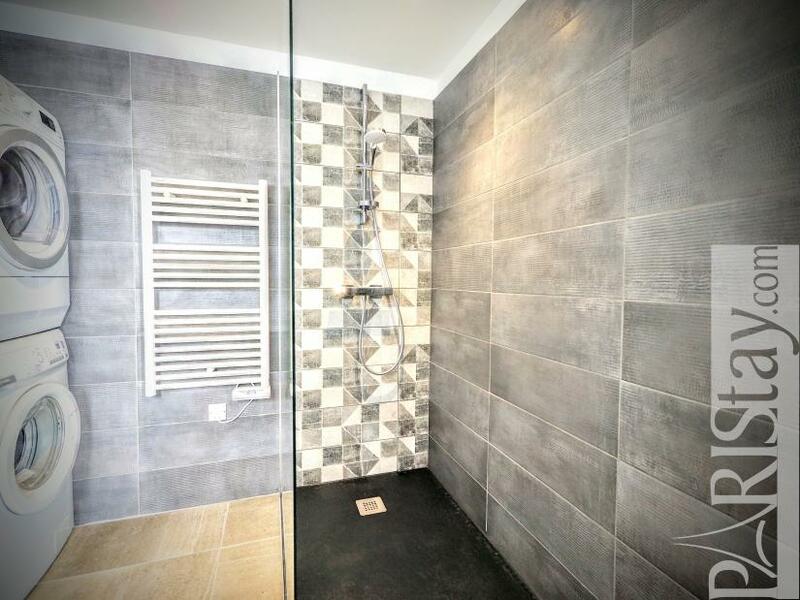 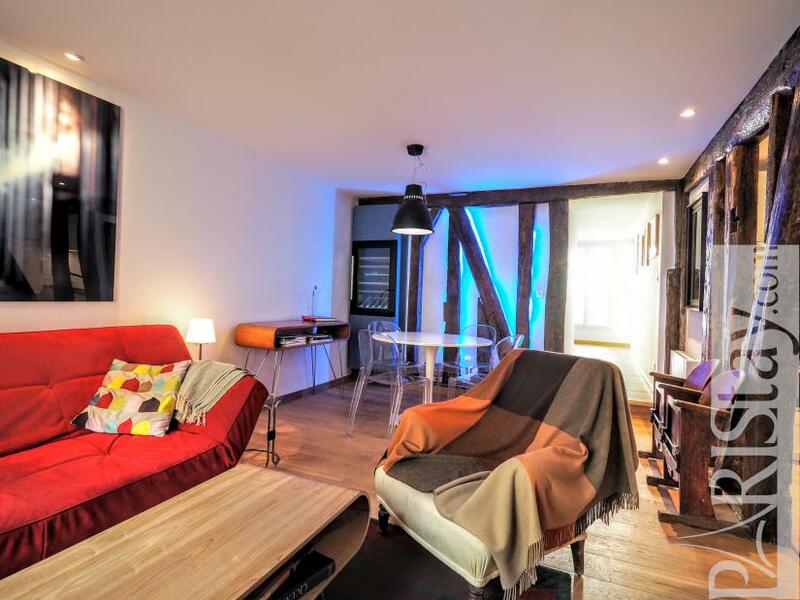 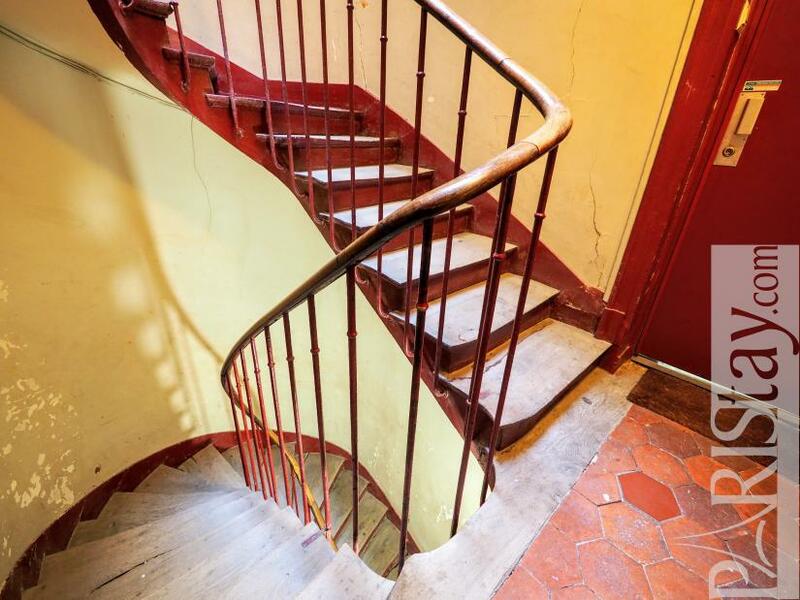 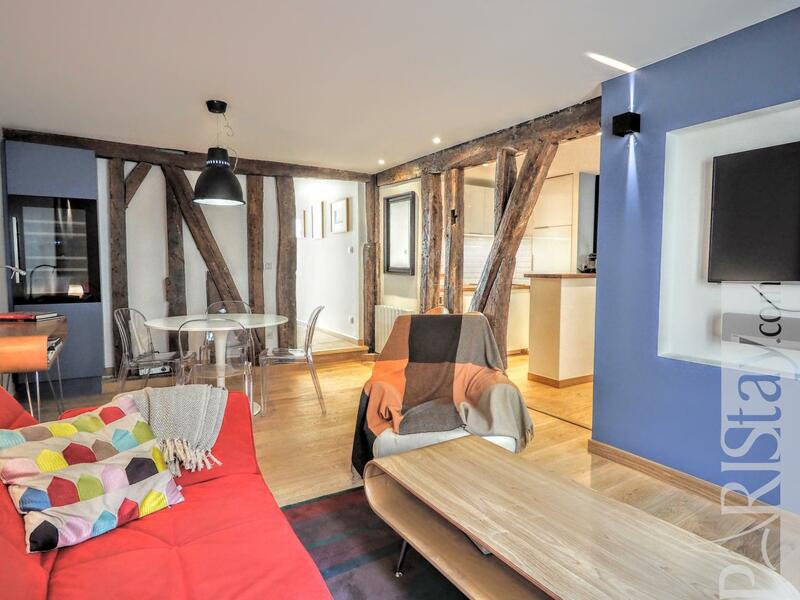 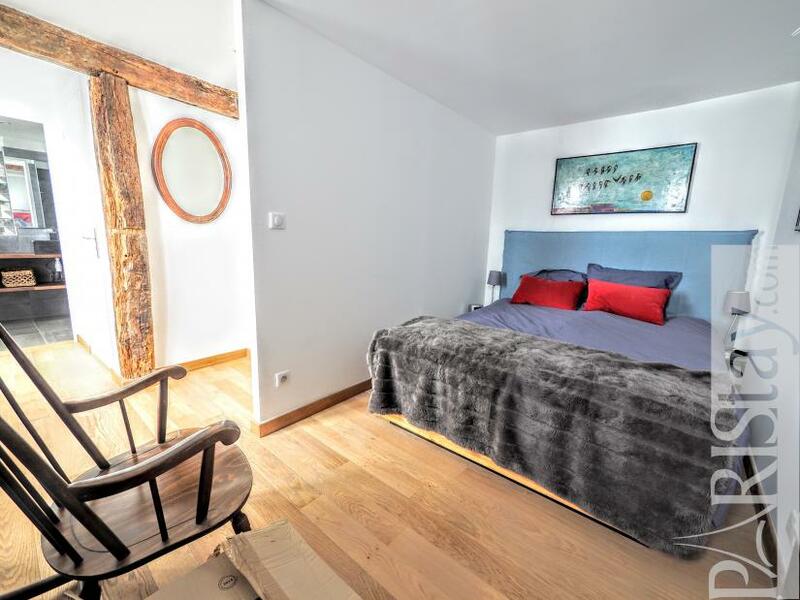 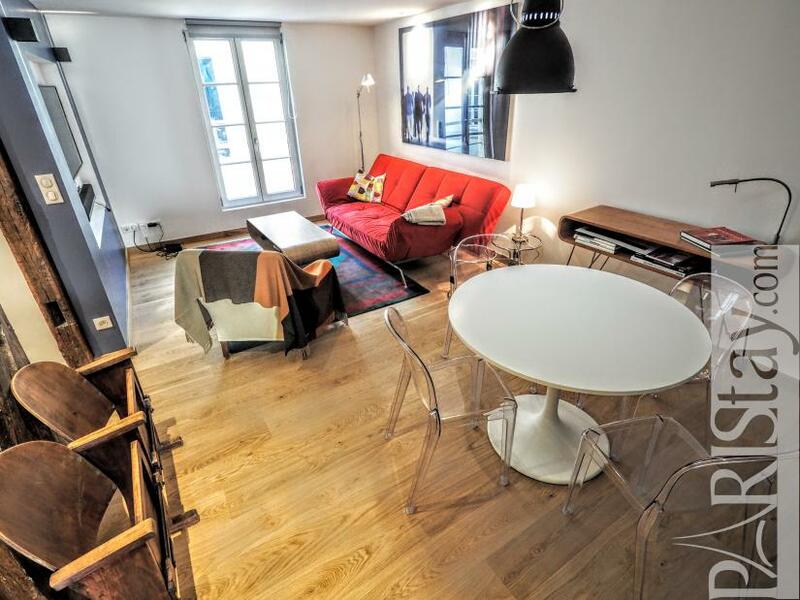 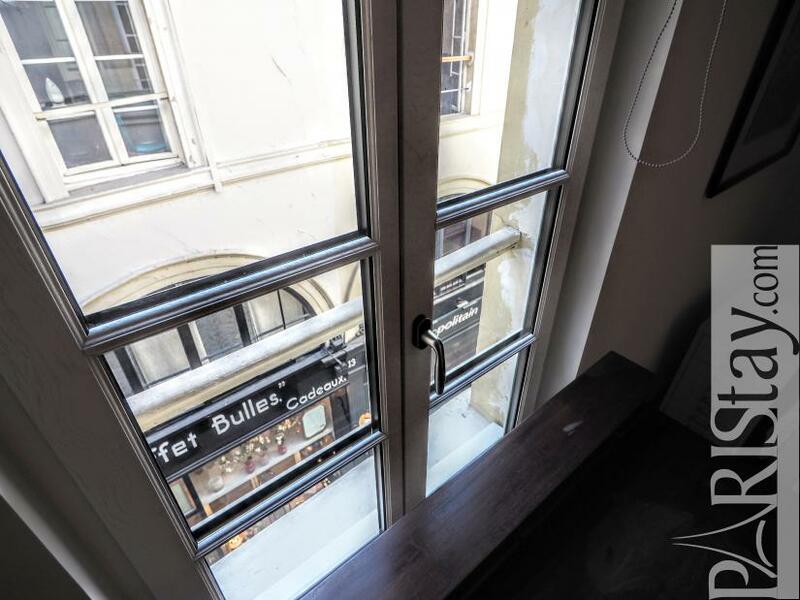 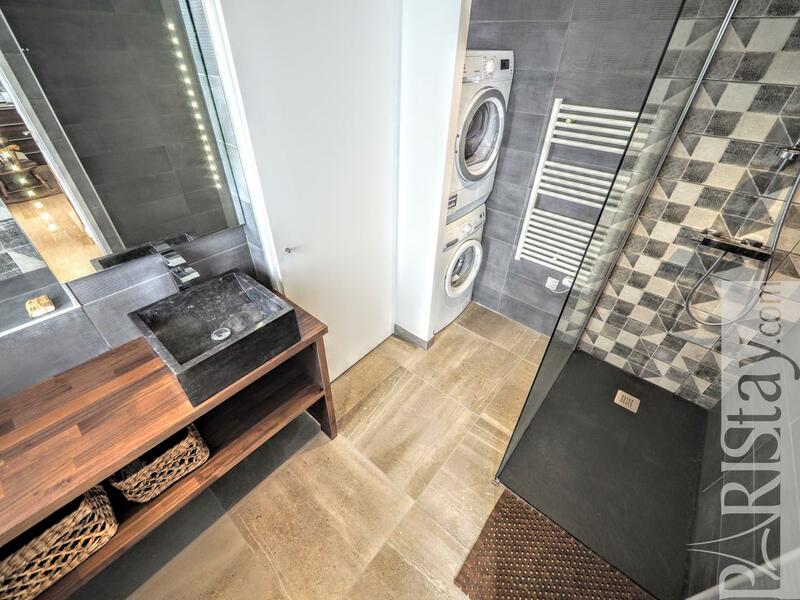 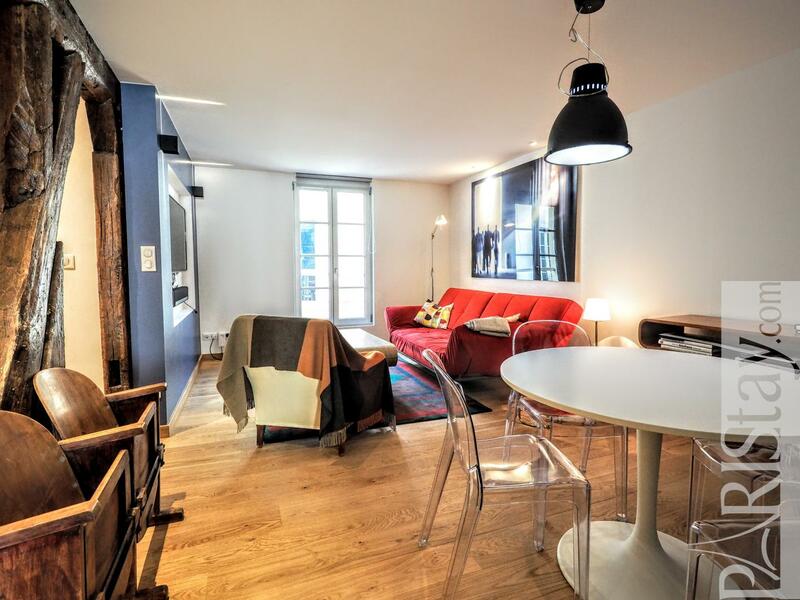 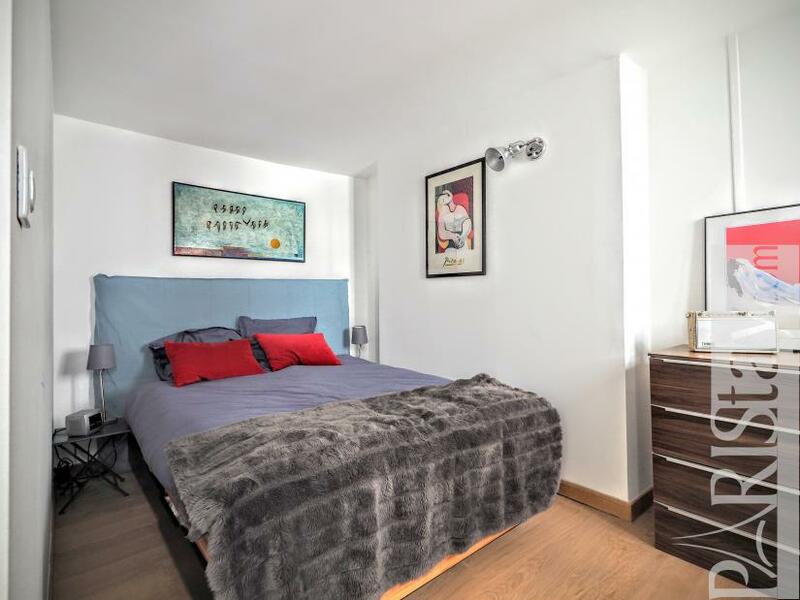 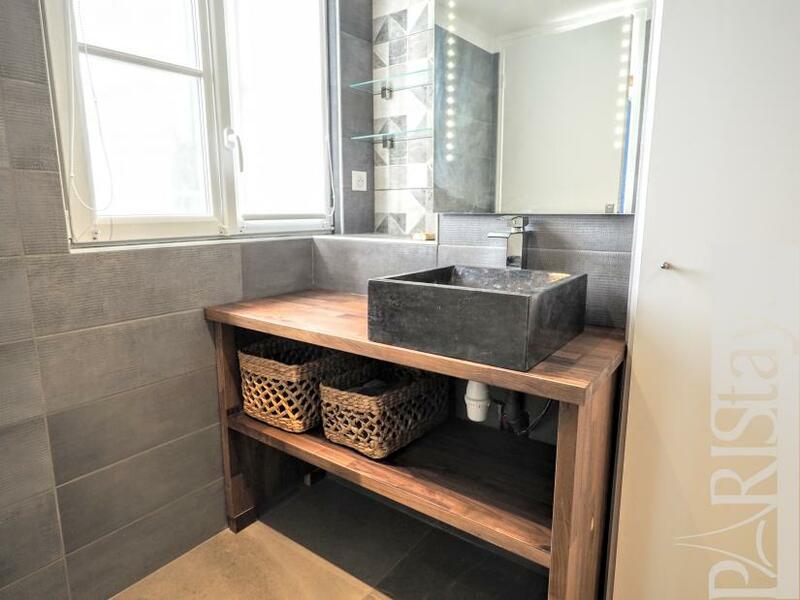 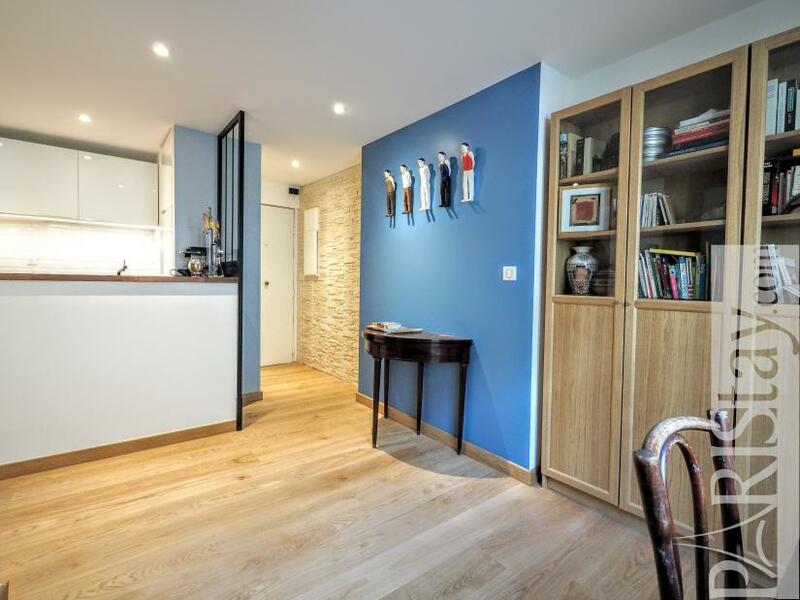 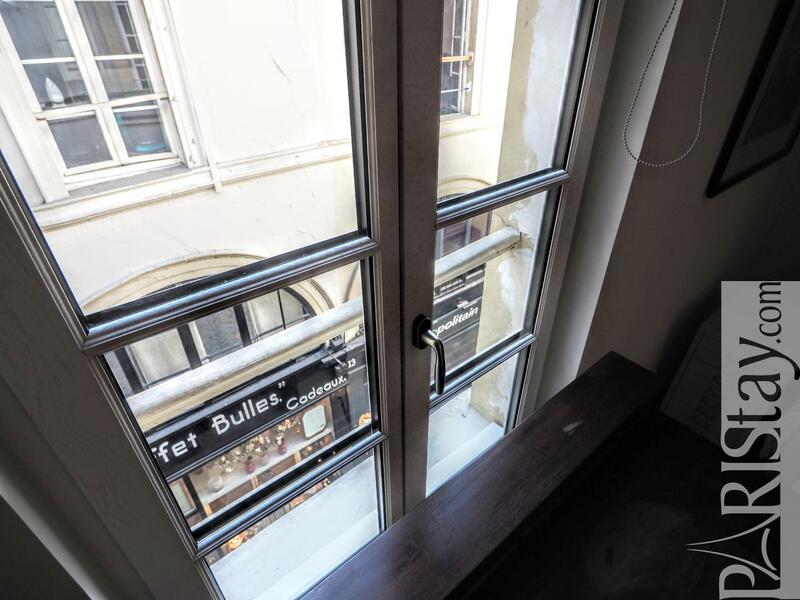 Here is a renovated 2 bedroom apartment for rent in Paris located in the beautiful Passage Choiseul (1826), a historic covered pedestrian street of the 2nd arrondissement. 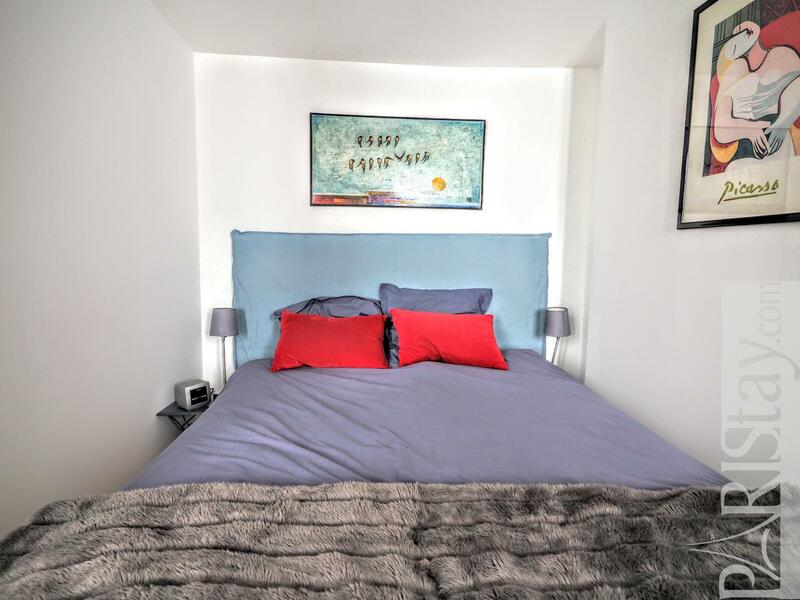 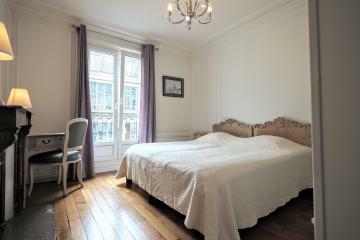 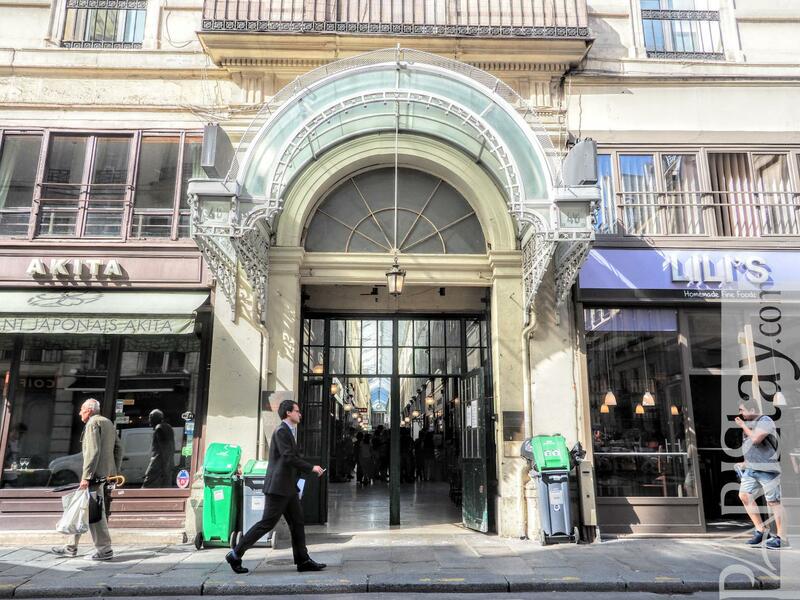 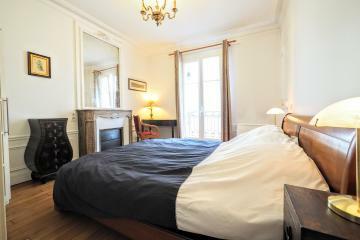 A perfect location, next to the Louvre museum, Palais Royal and Opera. 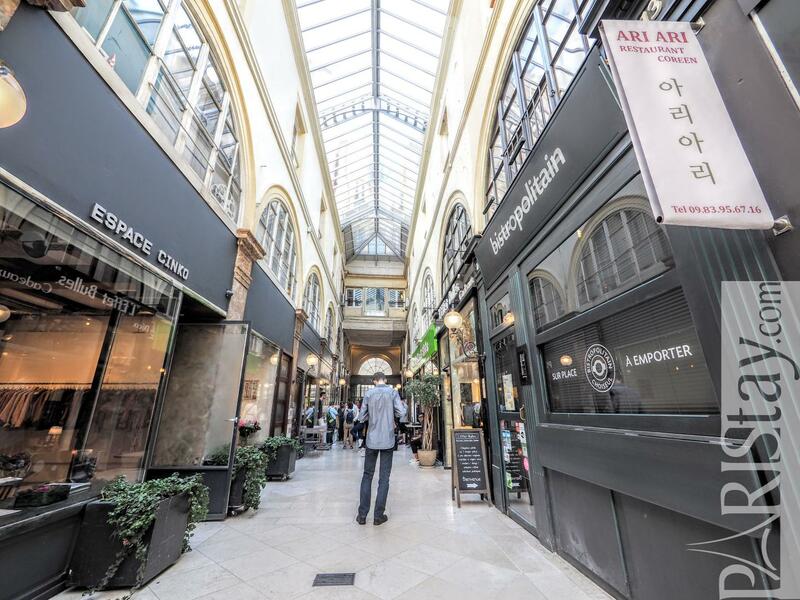 The Passage Choiseul is now a shopping and food area. The groundfloor is mainly retail and the upper floors are primary residential. Here is the flat, on the 2nd floor with no lift, offering a unique view on the Passage. 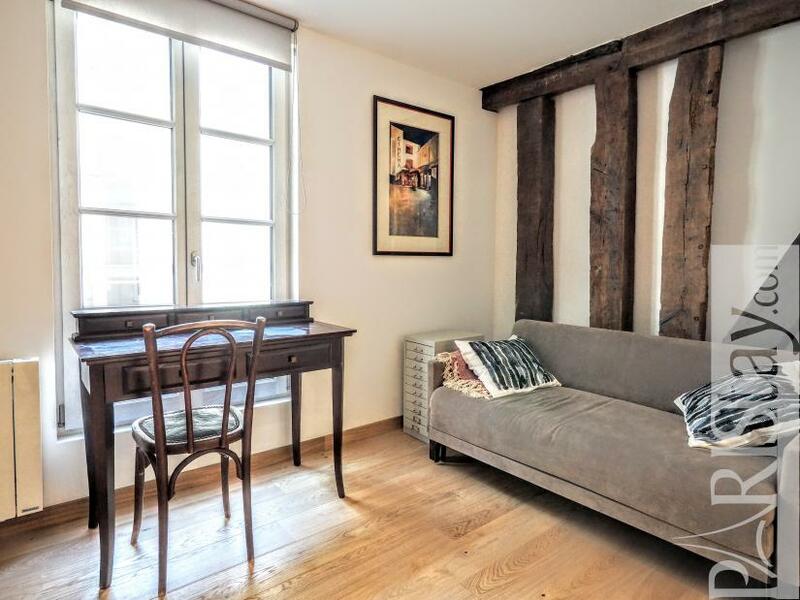 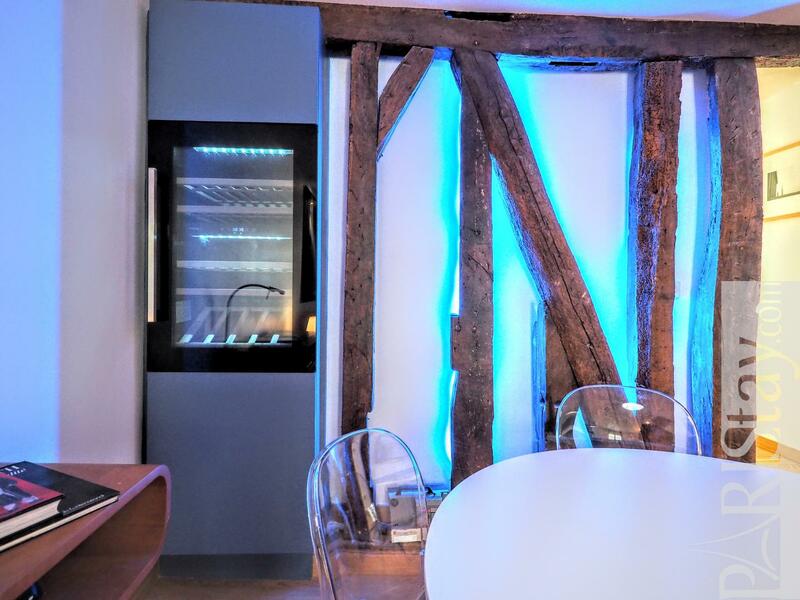 The entrance allows to separate a first bedroom with sofa bed, which can also be an office, a fully equipped kitchen open to the living room that offers beautiful hardwood floor and and old beams that have been highlighted with the complete renovation. 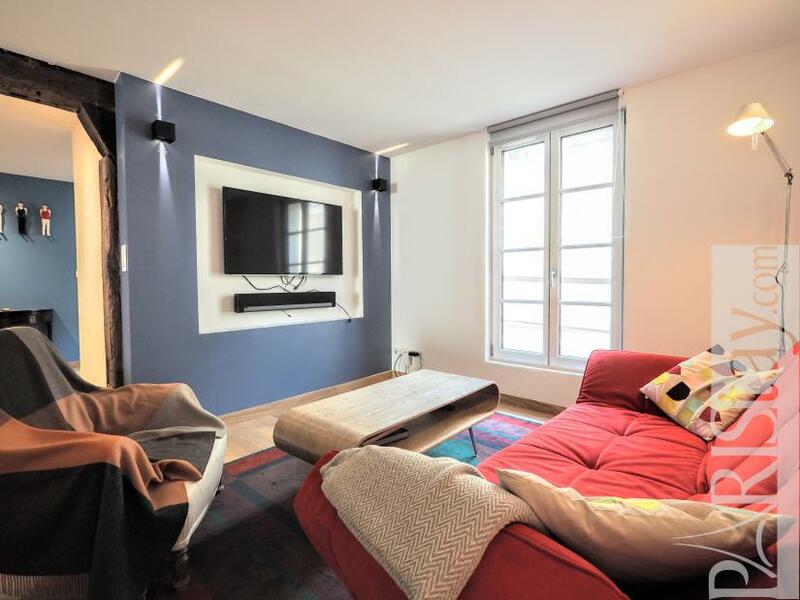 The living room offers a cosy corner with a comfortable sofas a plasma TV, a dining corner with a table for 4 people, a wine cellar, and a a pleasant customizable lighting. 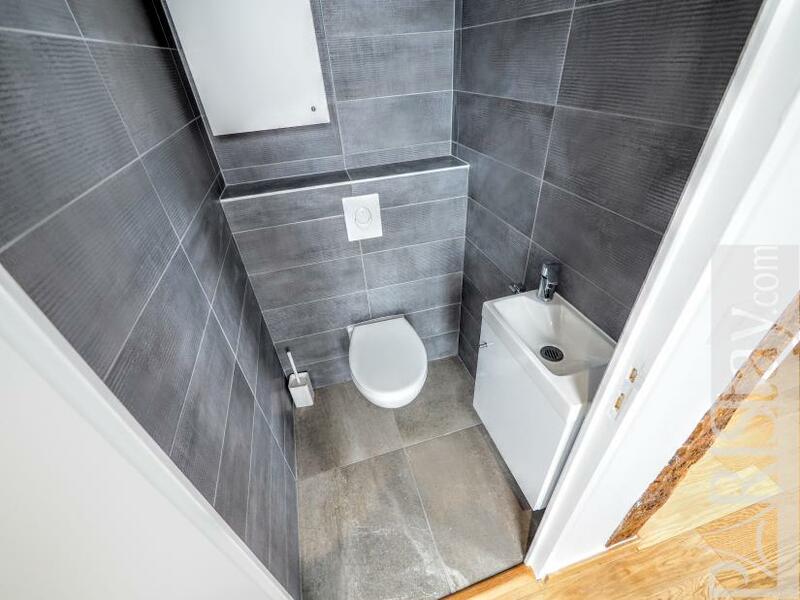 A hallway with a dressing room leads to the second bedroom on a quiet courtyard, the bathroom with shower and laundry, and to separate WC. 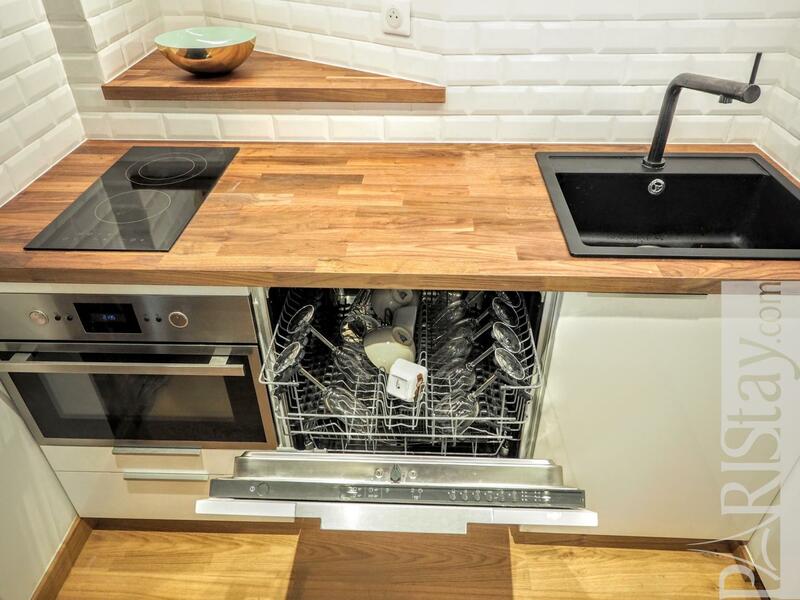 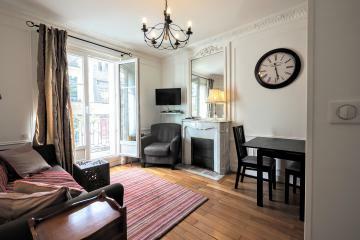 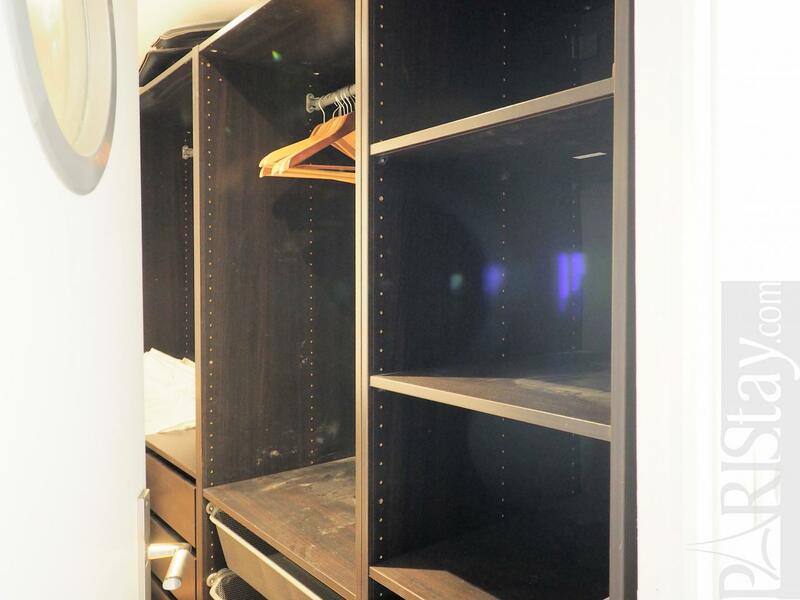 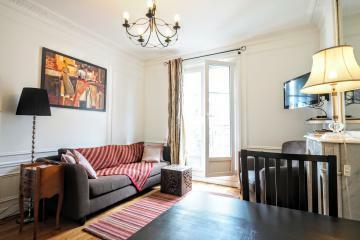 Available for long stay rental in Paris. 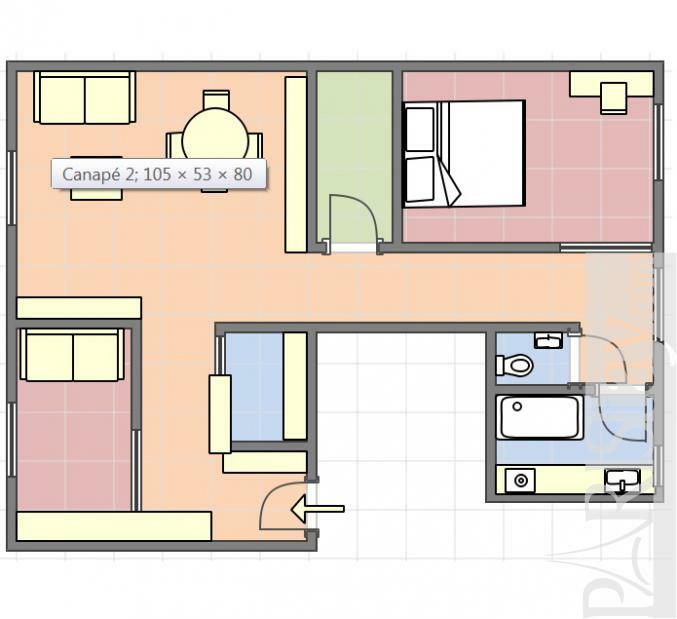 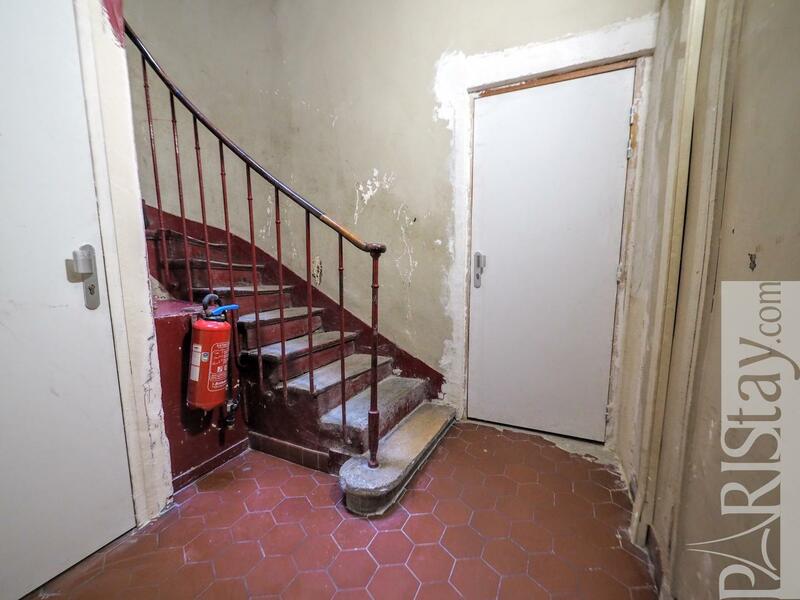 2 nd floor, without Lift, entry code security system, 2 bedrooms Appartement, furnished, Approx: 64m² / 688 Sq.Ft.